The deadline for entering the mentoring scheme for PR professionals from BME backgrounds - devised by BME PR Pros in association with PRWeek - has been extended to 5pm on Monday 19 February. PRWeek UK is backing the mentoring scheme that aims to increase the number of PR professionals from ethnic minorities in top UK roles. Fifteen senior industry figures from BME (black and minority ethnic) backgrounds have agreed to be mentors for the BME Mentoring Scheme (see the full list below). BME professionals working in comms and public affairs can apply to be a ‘mentee’, where they will receive the benefit of the mentors’ experience and expert advice to boost their careers (see box). The scheme is organised by BME PR Pros, an organisation founded by comms consultant Elizabeth Bananuka, in conjunction with PRWeek UK. "I’ve been fortunate enough to work with many great agencies and comms teams who genuinely value diversity and are keen to boost numbers of BME staff at all levels – from entry to leadership – and to cut low retention rates among this group," says Bananuka. 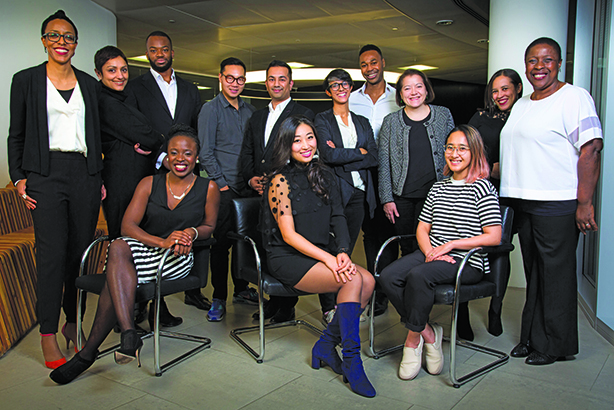 "The BME PR Pros/PRWeek Mentoring Scheme is about BME leaders and rising stars joining forces to promote diversity and support the careers of talented BME professionals keen to progress to the next stage of their careers - be it from account manager to account director, agency to in-house, MD to agency owner."